Part of this broad definition includes those who have merely been charged with a crime but have not been convicted. It also criminalizes unlawful entry, so that anyone who entered without inspection can be subjected to removal. Finally, the President’s Order states that people who have overstayed their visa are a threat to national security and thus need to be deported under the new priority of being a risk to public safety. The Order encourages the expansion of the 287(g) program, which caused many problems in racial profiling and overreach by inadequately trained local law enforcement officers empowered to enforce complicated immigration regulations. 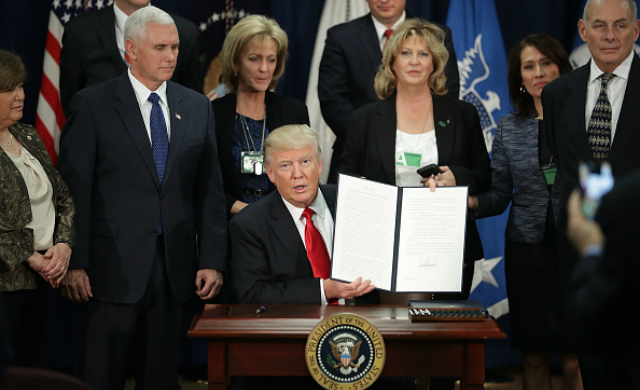 Finally, it punishes sanctuary cities that do not wish to participate in the President’s enforcement program.